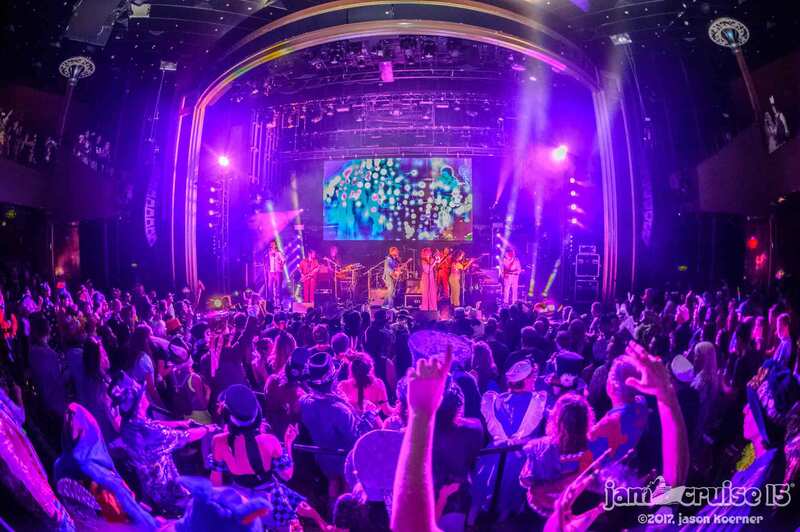 The Original Meters rock the boat on Jam Cruise 15. Photo by Jason Koerner. 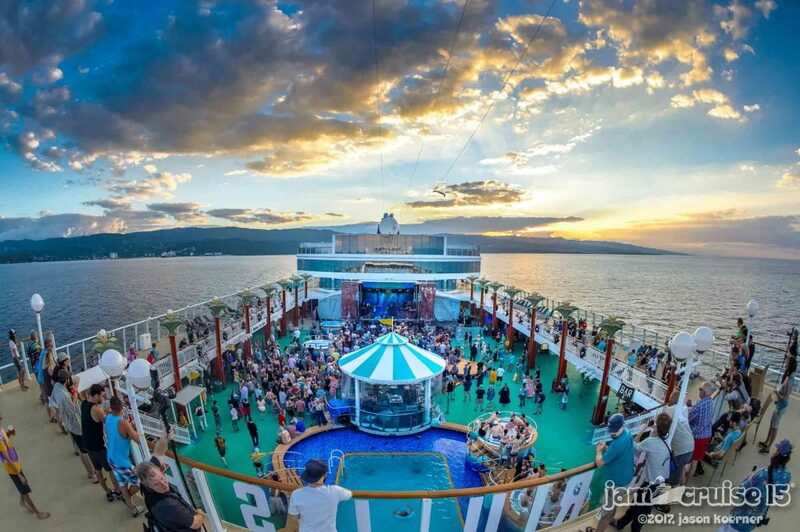 The Norwegian Pearl pulled up to the port of Ocho Rios, Jamaica at the crack of dawn yesterday as Jam Cruise made the first (and evidently, only) stop of this year’s voyage. Attendees wasted no time taking in the gorgeous weather and picturesque scenery of the small resort town, which sits along the island’s southern coast. Many of them ventured out to the region’s famed Dunn River Falls, while others opted for a relaxing day at one of the area’s many private beaches or some delicious local eats from an authentic jerk chicken hut. While Jamaica certainly dominated the morning and the afternoon, it was New Orleans that ran the show after the sun went down. A large crowd developed at the Pool Deck stage, following a exciting “sail away” set from Colorado funk mainstays The Motet, as everyone filed in to catch The Original Meters highly anticipated headlining performance—Art, George, Leo and Zigaboo’s first joint effort since last year’s Orpheum Theater blowout during Jazz Fest. But back to The Original Meters. From the opening notes of “Funkify Your Life” and beyond, the band’s two-hour set was a supremely funky, guest-laden affair that proved The Meters can jam as well as any band on the planet. That opening “Funkify” set the laid back tone and seamlessly melted into “Hand Clapping Song” before the foursome landed on a concise “Cissy Strut” that sent the crowd into a frenzy. Ivan Neville then joined the party for a stellar “Fire On The Bayou” that turned into the biggest singalong of the night. It wouldn’t be inaccurate to say the overarching theme of any Jam Cruise is “love,” but that sentiment has never been as clear as it was after “Fire On the Bayou.” The band and their fans have been happy to celebrate the 50th anniversary of The Meters’ formation, but a different 50th anniversary was about to be acknowledged when George Porter’s daughter Katrina appeared with a surprise announcement. After explaining the love she has for her parents, Katrina invited her mother Ara up to the stage to renew their wedding vows after 50 years of marriage. Smiles lit up across the boat when Jam Cruise organizer Captain Toast used the power vested in him “through the oneness of the universe” to pronounce Ara and George man and wife once more. The whole thing was a surprise for George, and his priceless reaction was a lovely site to behold. The Original Meters. Photo by Jason Koerner. With the night’s big moment now out of the way, The Soul Rebels’ Paul Robertson and Erion Williams came out with The Shady Horns’ Eric “Benny” Bloom and Ryan Zoidis to form a horn section that would stick around for the rest of the show. A characteristically goofy “They All Asked for You” was followed by an extended “People Say” that showcased some serious shredding by Leo Nocentelli. Cyril Neville then joined the fray to add his vocal chops to “Come Together,” “Be My Lady” and “No More Okey Doke. A jammed out “Just Kissed Me Baby” kept the crowd grooving before the show topped off with an “Ain’t No Use” that featured Galactic collaborator Eric Falls behind the mic. Late night jam session at “The Spot”. Photo by Jason Koerner. New Orleans was well represented during the late night session in the jam room, which was led by The Revivalists pedal steel master Ed Williams. 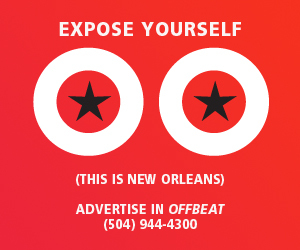 Energy pulsed through crowd as guests like Ivan Neville, Nikki Glaspie, Billy Iuso, Twiddle’s Mihali Savoulidis, The Suffers’ Kam Franklin, Karl Denson’s Tiny Universe’s DJ Williams, Turkuaz’s Dave Brandwein, countless horn players and many more traded spots in the as hoc band. Williams’ Revivalists bandmate George Gekas even hopped in to the hold down the low end for a series of tasty jams that kept the party going well into the wee hours. Jam Cruise will continue tonight with sets from Lettuce, moe., The Soul Rebels, Karl Denson’s Tiny Universe, Break Science and many more. 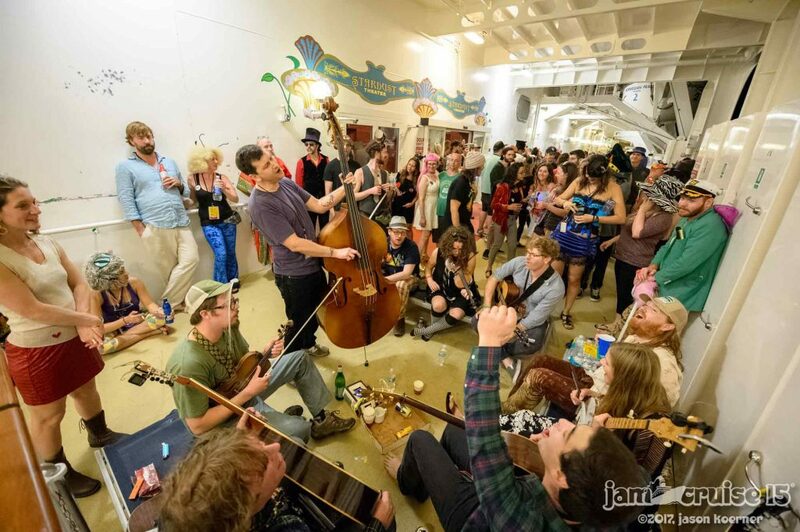 Unfortunately, the boat will not be stopping in the Cayman Islands due to weather issues, so an impromptu Grateful Dead jam has been organized instead.